Sour cherries are round, soft and small. They are best when are sweetened and cooked and are usually available for a period of 2 weeks in June and July. You don't have to wait for the exceptional short season of sour cherries to make your favorite desserts or just to taste these extraordinary fruits! Our sour cherries are so delicious in look and flavor that you right away start think of recipes for pies, tarts, crumbles or just a cup of sour cherry compote topped with ice cream, cinnamon or vanilla sugar. 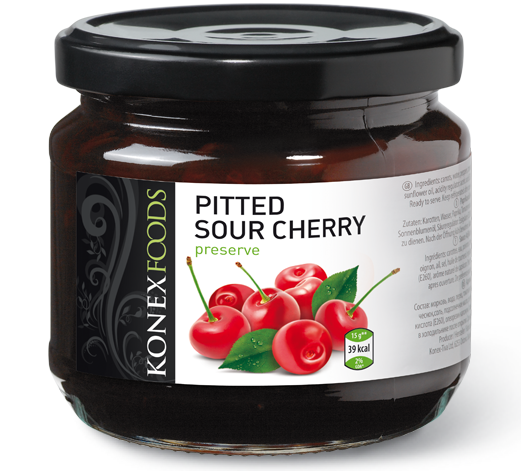 Just grab a jar of our sour cherry specialties and satisfy your starve for something sweet and healthy. 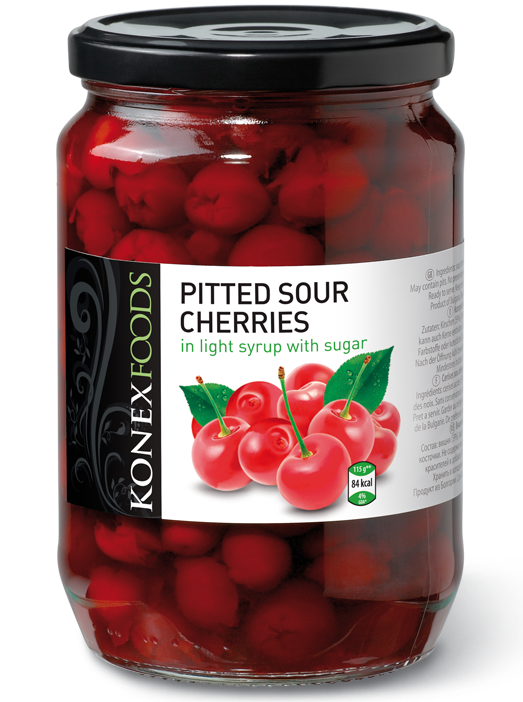 Use the sour cherries as a filling for Sweet Cherry Pie, Cherry Yogurt or a cake. The drained syrup could be cooled and used as a refreshing drink, especially when mixed with some fizzy drink. spread it on a toast, or a piece of a cake, use it as a filling for crepes. Top it on your ice cream scoop. You can use the heavy syrup to decorate your plate.